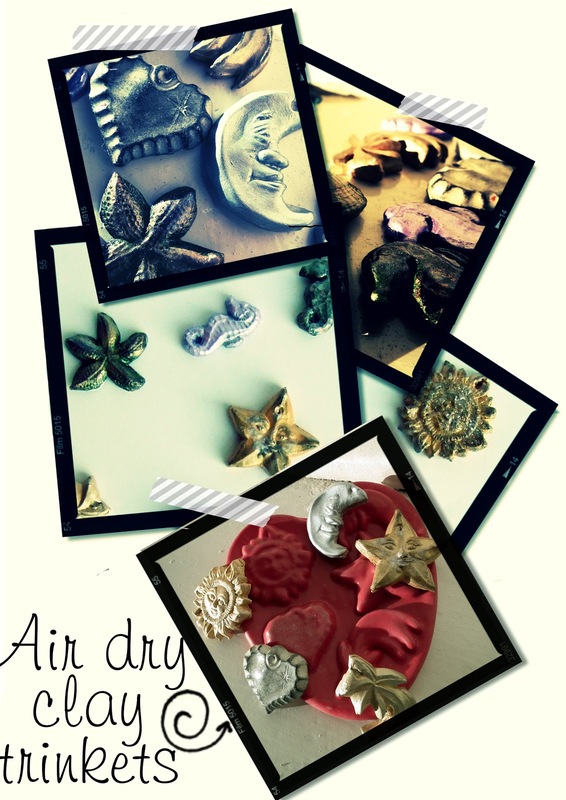 I love air dry clay – it’s squidgy, versatile and so much cheaper than polymer clay. And while I make more than I actually use, there are still many many ways to use them. They can be pendants, embellishments for cards or decorations, jewellery, magnets and so much more. In fact, if anyone has suggestions let me know- I’ve literally made so many I keep ’em in a bucket! The ones shown here are made with a simple push mold which was cheap and very easy to use. 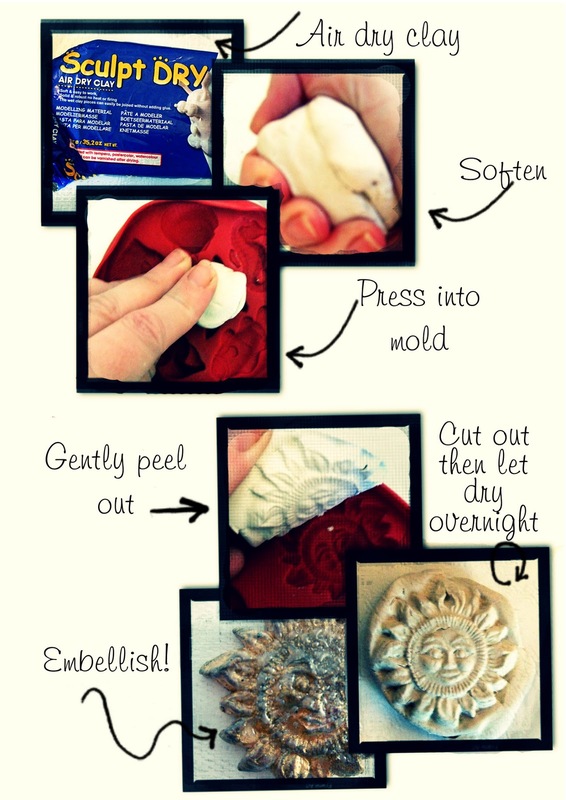 See this post for ways to embellish the clay. This entry was posted in Craft and tagged clay, trinkets, tutorial.